Submitted by AJ500 on Fri, 01/16/2009 - 4:27pm. 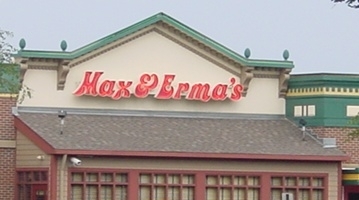 Max & Erma's operates or franchises over 70 restaurants in the USA, located in IL, IN, KY, MI, MO, OH, PA, VA, WV. Data derived from website restaurant locator. Several of the restaurants closed since this POI was originally posted. The file has been updated.